The cooling of fall triggers the holiday season. It’s the time of pumpkin and peppermint goodies, and holiday displays. It’s also an expensive time of year. The obvious expense is shopping for presents; however, then there’s travel, increased electric bill from all the holiday lights, food, etc. If you’re counting pennies and would like to make and save money, here are some great ideas to help. Many companies are hiring extra help with customer service and order taking during the holidays. Many are flexible and part-time, allowing you to work around your current job. If you do well, you might be able to parlay a temp customer service job into something more permanent in the new year. For more information, check out Seasonal Work At Home Customer Service Jobs plus 9 companies that hire seasonal customer service agents. 2) Save and Earn Programs. 4) Start a Holiday Related Business. Many businesses need extra help during the holidays as their workers take time off. Other businesses have an increased work load during the holidays. You can help them out by becoming a micro-worker. Your tasks can be varied from doing online research, data entry, writing, and more. Learn more about microwork plus get a list of 24 sites that offer microwork. 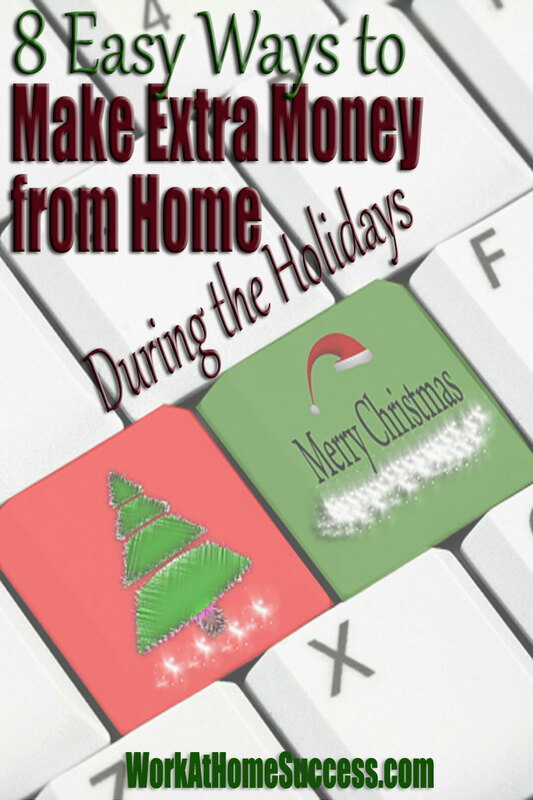 You won’t make a regular income taking surveys, but they can be a nice way to get cash back or earn Amazon gift cards to use for Christmas shopping. Many people travel over the holidays and need someone to keep an eye on their home and their pets. If you plan to stay home during the holidays, consider house sitting or learn more about pet sitting. 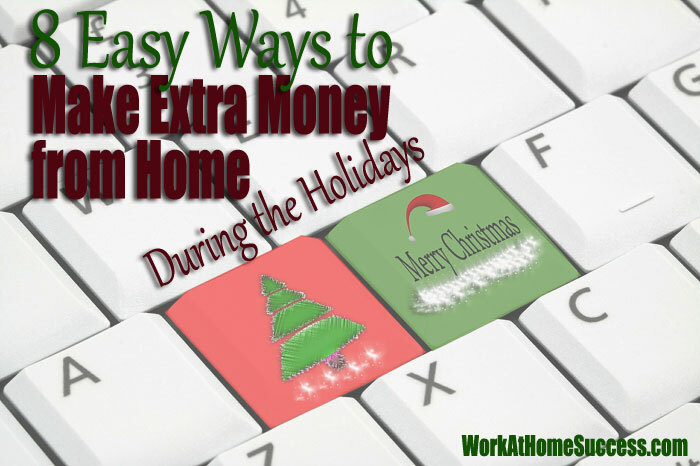 Many people are leery of direct sales, but they offer a great opportunity to earn an income part-time from home. Plus, if you pick a business idea that naturally lends itself to the holiday (i.e. a product people would by as a holiday gift), starting a direct sales business during the holidays is great way to jump start your income. Before choosing a business opportunity, be sure to read 6 Criteria for Choosing a Home Business Opportunity and How to Build a Successful Direct Sales Business.